Going through puberty and adolescence presents unwelcome changes for many transgender youth, and this book provides advice to parents of transgender teens to help them understand what their child is experiencing and feeling during this challenging time. 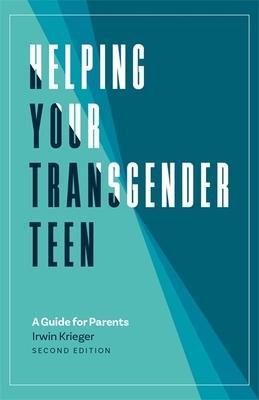 Addressing common fears and concerns that parents of transgender teens share, the book guides them through steps they can take with their child, including advice on hormones and surgery and how to transition socially. It addresses the recent increase in teens presenting with non-binary identities, and reflects major legal, social and medical developments regarding transgender issues. The author's insights are gained from his professional experience of providing psychotherapy regarding gender identity. He provides resources and further reading to help parents expand their knowledge. Although aimed predominantly at parents, this book is useful for anyone working with teenagers and young adults as it provides many answers to common questions about adolescent gender identity. Irwin Krieger is a clinical social worker who has worked extensively with transgender teens, adults, and families. Irwin provides training and consultation for mental health and health care professionals, as well as school personnel. He is the 2017 recipient of the National Association of Social Workers Connecticut Chapter's Lifetime Achievement Award.